National Beer Lover's Day is celebrated annually on September 7. In honor of this holiday and our new Fermentation Science program we have compiled a list of some of our favorite brewery tours in Ohio. Check them out and be sure to leave comments if you're favorite brewery isn't listed! Distribution: Ohio, Kentucky, Massachusetts, Indiana, and Pittsburgh, PA.
About: Rhinegeist Brewery opened in 2013 and is located in the Over The Rhine historical district in Cincinnati, Ohio. The 25,000 square foot facility was built inside the old Moerlein bottling plant (1895), providing the brewery with plenty of space to grow their team. Most Known For: World record holder for the strongest beer in history (55% alcohol). About: BrewDog a Scotland-based brewing company started in 2007 with just two employees and a dog. In 2017, they opened a 42-acre site in Canal Winchester that now features the first crowdfunded craft beer hotel. Most Known For: Brew your own unique batch of beer at North High Brewing. 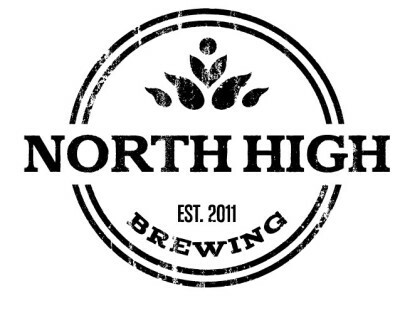 About: In 2011, North High Brewing was born as Columbus' first and only Brew on Premises establishment. In addition to allowing customers to brew their own, North High Brewing creates a variety of their own craft beers that are served in their taproom and several Ohio restaurants and bars. Distribution: Ohio, Kentucky, Illinois, New York, Pennsylvania, North Carolina, Michigan, Virginia, Minnesota, West Virginia, New Jersey, and Wisconsin. Most Known For: Being the first craft brewery in Ohio. About: Started by two brothers in the early '80s, Great Lakes Brewing Co. (GLBC) is best known as the first craft brewery in Ohio. According to This is Cleveland, "Recently, GLBC was the only Ohio brewery to be included on The Daily Meal’s 'Top 25 American Craft Breweries.'" About: Opened in 2015, Black Cloister Brewing Company was founded by four Lutherans with a love of great beer and a goal of building community in Toledo, and giving back. Their slogan (Brew good. Do good.) is their promise to use their success to help raise money for nonprofit groups and other worthy causes. Distribution: Columbus, Cincinnati, Dayton, and Akron. About: Warped Wing Brewing Company opened its doors in 2014 and is located in downtown Dayton at the site of the old Buckeye Iron & Brass Works Foundry (1938). Now go forth and celebrate. Cheers!